Vigna / Vineyard: The vineyards are at the end of the valley, where the valley opens and climbs up most, around Aymavilles, just after the town of Aosta and north, basically as an extension, of the Parco Nazionale Gran Paradiso, a place of unicorn (ok, mountain goat) wanderings. It’s an alpine hiker wonderland. 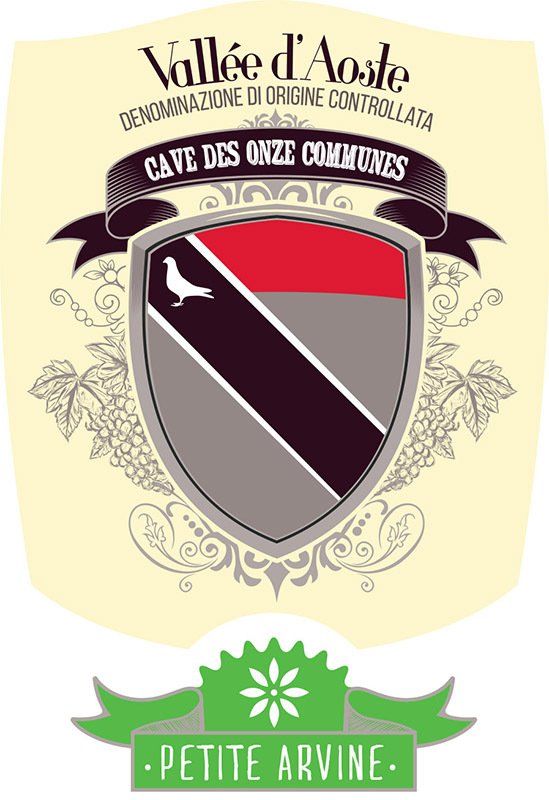 Denominazione / Appellation: Vallée d’Aoste Petite Arvine. Quota / Altitude: from 600 m / 1969 ft. to 750 m / 2461 ft.
Suoli / Type of soils: Loose soil made of lime and clay. Esposizione / Exposure: Various expositions. Vitigni / Varieties: 100% Petite Arvine. Allevamento / Trellis system: Cordon-trained and Guyot. Resa / Yield: 10.000 kilograms / hectare. Lieviti / Yeasts: Selected yeasts. Affinamento / Élevage: In stainless steel tanks.